FAU's Christine E. Lynn College of Nursing is ranked for its Doctor of Nursing program and for its Master of Science Nursing program by the 'U.S. News & World Report' 2018 Best Graduate Schools Guidebook. 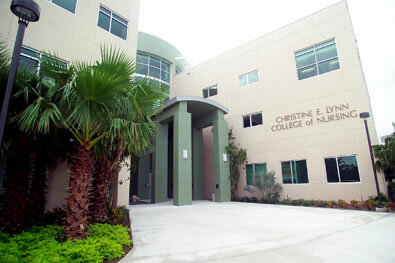 The Christine E. Lynn College of Nursing at Florida Atlantic University has received a ranking of No. 44 for its Doctor of Nursing (DNP) program and No. 45 for its Master of Science Nursing (MSN) program by the U.S. News & World Report 2018 Best Graduate Schools Guidebook. The College's MSN is the second-ranked program in Florida and the top-ranked DNP program in the state. "We are delighted and honored to be recognized among this elite set of nursing schools – both public and private in these latest rankings by 'U.S. News & World Report,'" said Marlaine Smith, Ph.D., R.N., dean of FAU's College of Nursing. "We remain driven in raising both the visibility and stature of FAU's Christine E. Lynn College of Nursing and these new rankings coupled with our exceptional faculty and staff as well as our outstanding students are indicators that we are making great strides in the delivery of education, research, health care and community outreach." A total of 532 accredited institutions were eligible to be included in the rankings of master's or doctoral nursing programs — 292 were included in rankings based on a weighted average of 14 indicators for the master's program rankings and 186 qualified for the DNP rankings. The magazine evaluated a number of criteria for the rankings, including acceptance rates, average GPAs, student/faculty ratio, degrees awarded, peer assessments, quality of faculty, enrollment and National Institutes of Health and other federally funded research and teaching grants. Each year, U.S. News & World Report ranks programs in business, education, engineering, law, nursing and medicine. The rankings in these six areas are based on two types of data: expert opinions about program excellence and statis­tical indicators that measure the quality of a school's faculty, research and students. The data come from statistical surveys sent to administrators at more than 1,970 graduate programs and from reputation surveys sent to more than 16,500 aca­demics and professionals in the disciplines. FAU's College of Nursing excelled in the percent of faculty active in nursing practice, number of master's degrees awarded, number of teaching and practice grants, percent of faculty with doctoral degrees, affordability, and percent with distinguished fellowships, placing the College in the top 30 of the ranked schools in those categories.